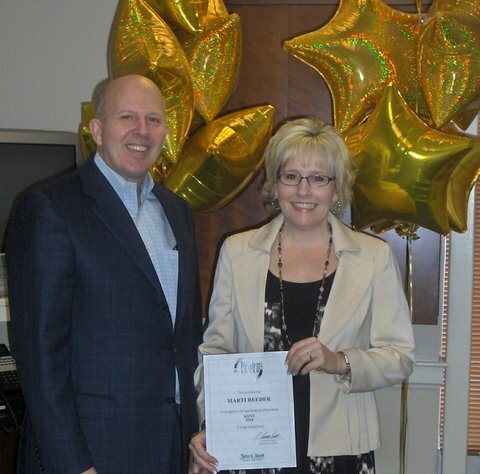 In addition, in the local John L. Scott office, Reeder was named Top Producer and Top Salesperson during the second and fourth quarters and Top Listing Agent during the first and third quarters of 2010. She was also named a Five Star Real Estate Agent for Overall Satisfaction in the December 2010 issue of Seattle Magazine. As a full-time, full-service real estate agent and broker, Reeder credits her success to hard work, engaged clients and a strong support team, both at home and work. With more than 25 years of industry experience, Reeder has worked in the John L. Scott office on Kent’s East Hill for the last six years. She is a certified buyer’s and seller’s representative, and she specializes in pre-foreclosure properties and short sales. Born and raised in the Seattle area, many clients seek Reeder out because of her vast knowledge of the area, its neighborhoods and their unique charms. In fact, she has been voted “Best in Kent” for the last three years for this knowledge and personalized service. In addition to her real estate work, Reeder is active in the Kent community. She is a member of the Kent Chamber of Commerce, Kent Downtown Partnership and the Noon Kiwanis Club. This summer she is sponsoring a Relay for Life team called Friends 4 Life! For more information about Reeder, visit https://www.teammarti.com. You can also find Reeder on Facebook, Twitter, LinkedIn and YouTube. Marti Reeder is the very best Realtor/Broker I have ever encountered and I’m old enough to have met a bunch of them. In fact, one tried to convince me to take a handful of South American “emeralds” as earnest money on a business proprerty. Yikes. Marti is smart, quick, generous, efficient and much loved!